Happy New Year! Happy Chinese New Year that is – 新年快乐，or the more common 恭喜发财 (congratulations and prosperity). Although I no longer live in Taiwan, celebrating the Chinese New Year is still important to me. This year I have just moved house and am in the process of changing jobs (well, going on secondment at any rate), and my kids are about to start a new school. So you could say that the year of the Rooster is bringing a lot of change for me. Once upon a time families – especially in northern China – would celebrate Chinese New Year’s Eve by sitting together and making dumplings and watching a variety show on CCTV called chun wan (春晚). 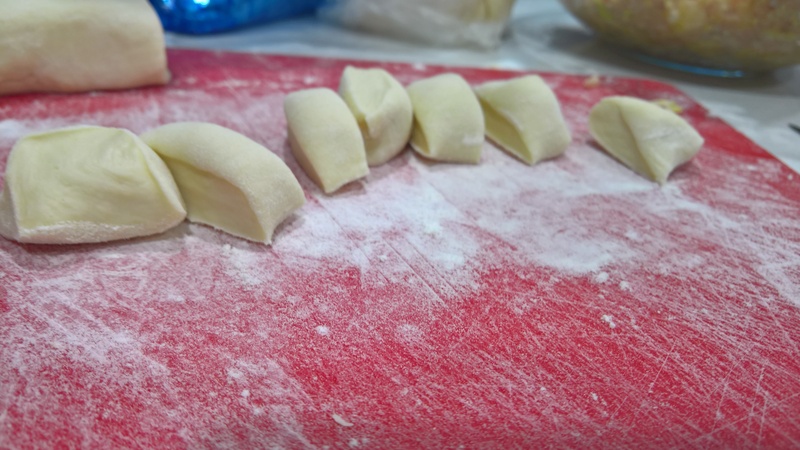 These dumplings are called jiaozi (饺子) in northern China, and shuijiao（水饺) in Taiwan, and while there are a few differences including how they are folded and pleated they are essentially the same. Of course families would make them from scratch, rolling the dough into neat circles. The idea is to make the finished product look like how gold used to be shaped in China (kind of like a cross between a boat and a hat). The symbolism is a wish for gold and prosperity in the year ahead. The circles also symbolise family unity. In Taiwan things are a lot different. Many families don’t cook any more, and are more likely to go and purchase a profusion of special Chinese New Year dishes. Buddha Jump Over a Wall, prawns cooked in rice wine, whole steamed fish, sticky niangao dessert, thin slices of goose served with ginger or cumquat sauce, special pickled vegetables – it is some feast. My ex husband used to say that people in Taiwan don’t need to eat those poor foods like dumplings anymore. And indeed, I suspect the tradition is changing also in China as its middle class swells. But I like traditional. So last night, despite my own kitchen being in disarray from the move, I invited myself over to Mr Red Sports Car’s place and made him dumplings. “They sure take a long time,” he said. Yes, they do. But the thing is, homemade dumplings are made with love. Mine might not be perfect, nor might they be expensive, but they communicate a hope for the new year and for blessings and prosperity and harmony. The addition of butter might sound weird, but this was suggested to me by my Taiwanese friend Bigo. The best dumplings are made with pork mince that has a decent fat content, with a little bit of oil added to make it moist. Most mince in Australia is actually quite lean, and the butter helps make the meat juicier. Wishing all of my readers joy and abundance in the Year of the Rooster. In a large bowl, slowly add water to the flour combining until you form a ball. Knead for around ten minutes – more if you are feeling energetic. You could do this part in a breadmaker or mixer, but this is one type of dough I prefer to do by hand. Put the dough in a plastic bag and leave at room temperature to rest for half an hour. Meanwhile, prepare the mixture. Finely chop the cabbage, place in a colander and sprinkle generously with salt. Allow to rest. Heat the butter in a microwave or saucepan and allow to cool slightly. 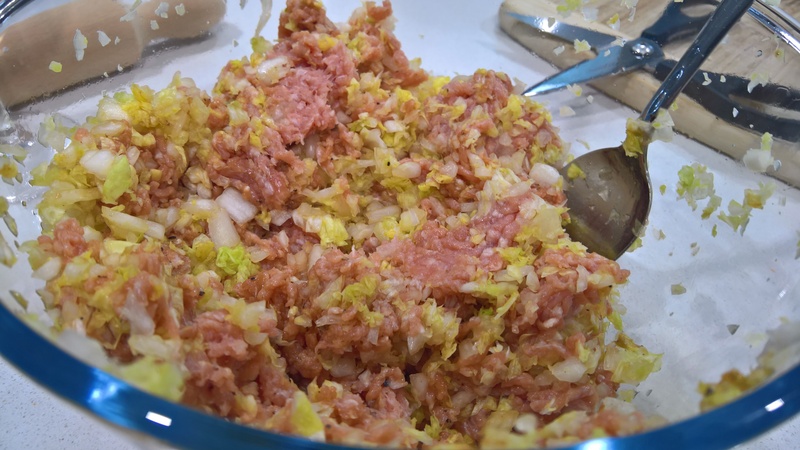 In a large bowl combine the pork mince with the rice wine, salt and pepper and soy sauce. Rinse the cabbage with water. Place in a clean, dry tea towel and squeeze to remove the moisture. Add to the pork mixture. Mix to combine. Pour over half of the butter, mix further, then add the rest of the butter. Take a portion of dough and roll into a snake shape. Cut into small pieces with a knife. I always overestimate how much dough I need; the pieces are quite small. Flatten with the back of your hand, then using a rolling pin roll out into rounds. 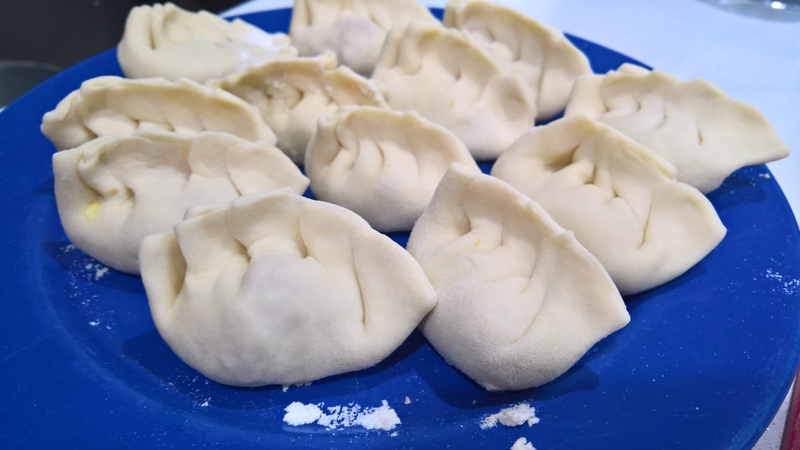 Place some of the pork mixture in the centre of a dumpling. Fold over to close, making a crescent shape. 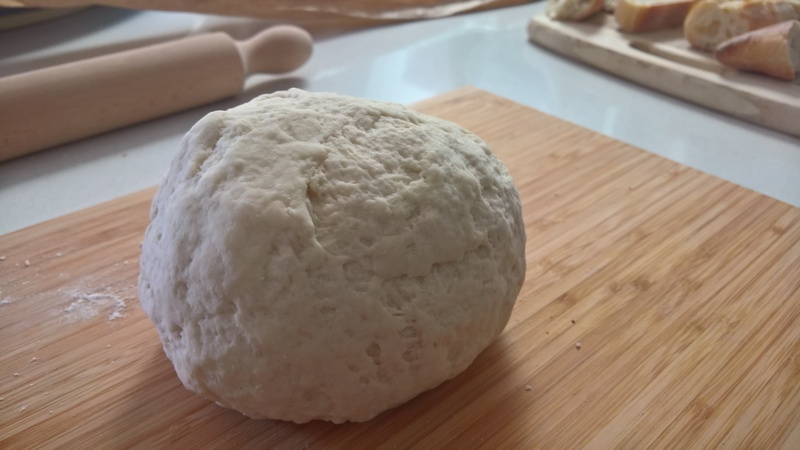 The dough is usually moist enough to hold, but you can wet with a little bit of water if need be. This shape is in itself sufficient, but you can make little pleats to bend the dumpling into a boat/hat/sharks fin shape if you like (I like to do this – can’t help myself). The fresh pastry is very forgiving. To cook, take a large saucepan and fill one quarter full with water. Bring to the boil and add the dumplings. When the mixture comes to the boil, immediately add a small Chinese bowl of water. Repeat twice. Once the water comes to the boil after this, the dumplings will be ready. You can tell because they will have floated to the top and swollen in size. Serve at once with a dipping sauce, customised to preference, containing soy sauce, rice vinegar, garlic, minced ginger and chilli. I personally like my dipping sauce with a little soy, generous rice vinegar and ginger. 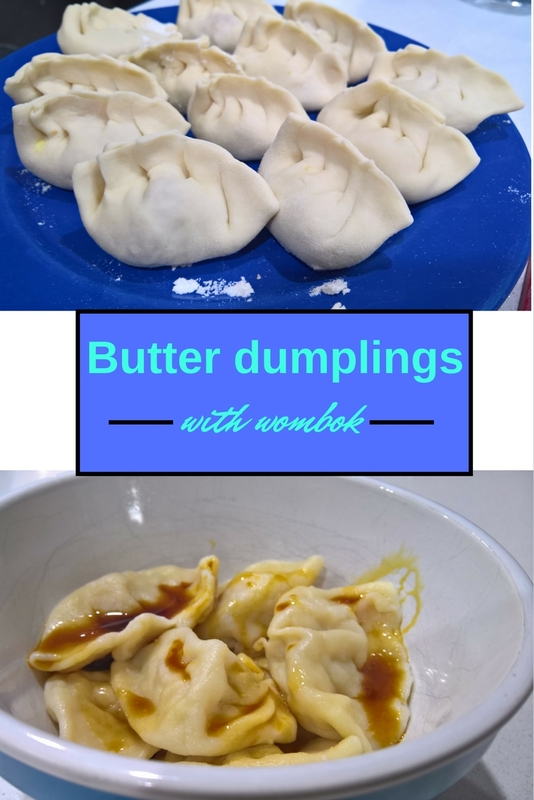 Another tip: it takes a long time to make dumplings so I usually make a batch, cook straight away and then keep making them. You will get very hungry if you wait to the end:) And dumplings are most fun when made with a group of people. Your dumplings sound delicious, Serina. Happy new year. I remember having these in Chinatown Philly,they are delicious hope you had a great New Year! They look simple, but there is an art to doing them well! Happy (Chinese) New Year to you as well. Love love love dumplings. I just don’t have the patience to make them. Yours looks so appetizing and I’m slightly envious that you make it with such ease! Rosemarie, I have dumpling insecurity as well:) In northern China they pleat them in a very particular way, and in Taiwan they have a different method. I don’t follow either and just do my own thing. It is not quite ‘right’, and Chinese are very particular and traditional. But the end result once you boil them is the same. Great recipe Serina. I’ve never made dumplings apart from Mum’s wonton soup made with prawns and pork.